Michigan’s native herd of elk – massive animals standing 4 to 5 feet tall at the shoulder and weighing more than 600 pounds – had disappeared from the state by about 1875. Today’s healthy and abundant elk population is found in the northeastern Lower Peninsula. 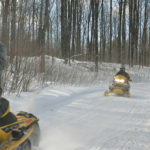 During a January 2017 elk survey, approximately 1,100 elk were estimated to be in Michigan’s elk range, which includes the Pigeon River Country State Forest. 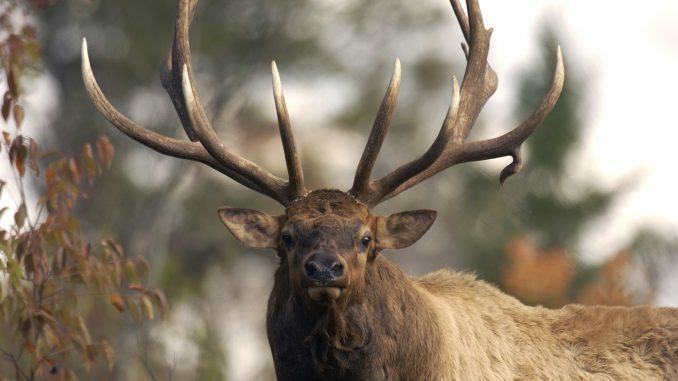 An adult male elk, also called a bull, can weigh over 600 pounds. A female, or a cow, tends to be a smaller and doesn’t carry around the large set of antlers a bull can. A bull’s antlers alone can weigh 40 pounds. 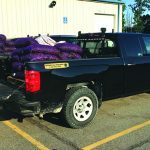 The DNR is working this year to bring additional awareness to Michigan’s elk population, while celebrating the 100th anniversary of the beginning of the recovery story. Recently, the image of a common loon on Michigan’s specialty wildlife license plate was recently replaced for the first time. The plates now show an elk for 2018. 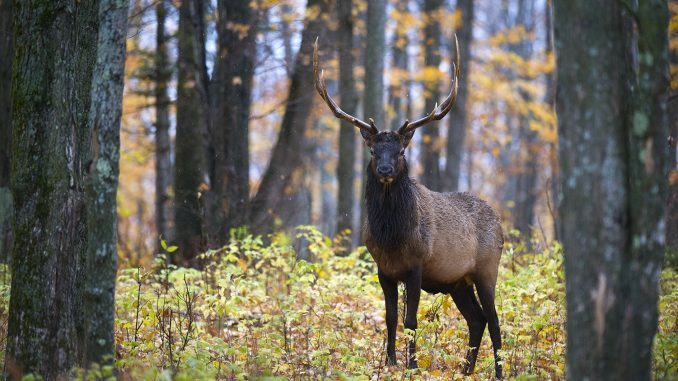 “A change brings attention, and a new image on the wildlife habitat license plate will do two things: it will get people talking about elk and connect elk to Michigan, while also giving a needed boost for the nongame fish and wildlife fund,” said DNR Wildlife Division Chief Russ Mason. 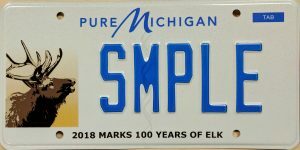 “It seemed fitting the first time the plate had seen a change since it originated 16 years ago, would be dedicated to an animal that had actually disappeared from Michigan,” Mason said. 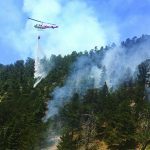 “Elk flourished, numbers increased, and active management of elk was needed,” Mastenbrook said. 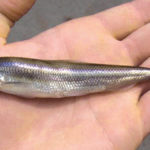 “Forests and crop fields are a buffet for wild animals, and finding the balance of the right number of animals was important,” Stewart said.